The fireplace crackles. The smell of peppermint wafts throughout the house. A gentle flurry falls through the frosted window. One crystalline flake catches the cold pane. Look closer! It’s streaked with some sort of crispy cured pork… could it be? 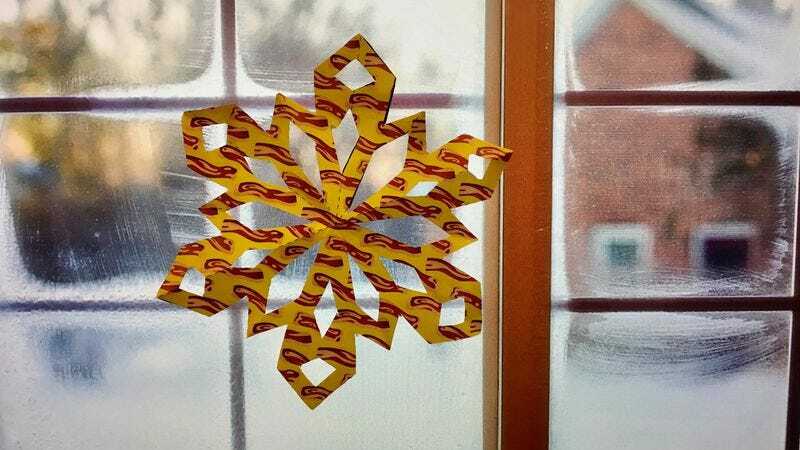 You have caught the rarest of all winter sightings: the bacon snowflake. Click here to download, print, cut, and ensure your bacon snowflake won’t ever melt away.